Welcome to Smartjac’s World of Identities! We are thrilled to work in the business of identities and excited that the industry is finally starting to address a ‘system that is broken’ with real effort and ambition in creating a safer online environment. Machine to Machine, M2M, is the communication between devices (machines, installations, individual modules etc.) without any involvement from humans. The device captures an event (for example temperature, inventory level) through a network (either wireless, wired or hybrid) and sends it to an application that transforms it into meaningful information. The data transmission provided by mobile networks is quick and lucrative and has given M2M communication a great boost, while a M2M device with a standardized SIM card provides network independence. In the past 20 years, mobile communications have changed dramatically with new, complex applications having been developed. A SIM card used to only be a token for providing identification to the network. But not anymore; today it is a lifestyle tool that meets many of the demands of your everyday life. It can be used to make payments, as a ticket, securely download multimedia files to or make bank transactions with. All of this demands more security and coordination between devices. 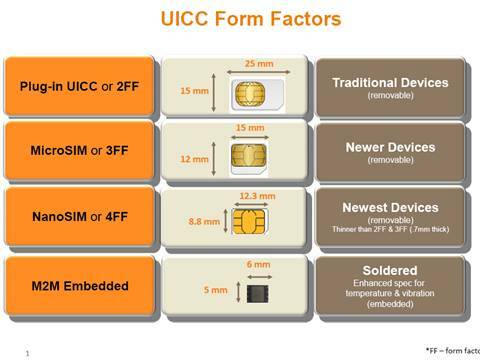 And besides the classical Plug-in SIM card there are a lot more new form factors on the scene: microSD, soldered secure elements, Micro-SIMs and M2M SIMs. The heart of mobile communications is applications. There is a diversity of uses which opens up completely new business segments. 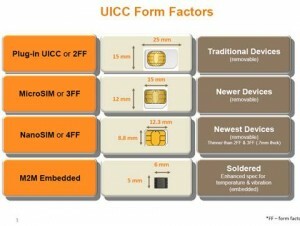 SIM, USIM, CDMA, ISIM and LTE applications. There are big disadvantages using static passwords to access IT networks and buildings. They can be complex and consistently difficult to manage; there are also risks of static passwords being stolen and misused for criminal purposes. Another great disadvantage is the password being forgotten, leading to support costs. Strong authentication and one-time passwords (OTP) can improve those security risks. When using Strong Authentication to access a system you need to physically have a smart card or a token in your possession and know the password, this makes it all so much more secure. Multi-factor authentication adds a third factor, for example physical traits, like fingerprints. To maximize travel fluidity passengers and transport operators demand effortless payment options. This can be achieved with different solutions. Mifare Brand: This brand offers you a low security, cost effective Mifare classic memory cards, as well as AES security cards together with flexible file capacity Mifare and Desfire micro-controller cards. Calypso Brand: All Calypso brand offers are compatible with Calypso specifications including Revision 2 and Revision 3. There are three different packaging solutions, which are high-end, dual interface or contactless card mode. Retailers need cost-effective solutions to manage their smart cards for gift card, prepaid and pre-authorized accounts and loyalty applications. • Lower cost, resulting from the reduction in risk and implementation timescale. Secure SIM Card, Smart Card and RFID solutions. Near Field Communication is the leading technology for mobile transactions. Innovative services like mobile payment for goods and services is possible because of NFC. It also allows you to retrieve and exchange information. The increasing availability of contactless infrastructure allows this intuitive and user-friendly technology to be used more. NFC products can be implemented for banks, mobile network operators, enterprises, OEMs, transit authorities and retailers. Flexible, individual and customized personalization services for Smart Cards and SIM Cards. To have your generic card transformer into an individually specific card that can be used in one or more applications, personalization is the key. • Electronical personalization – programs application codes, user data and cryptographic keys within the chip. • Magnetic personalization – encodes the magnetic stripe with user data. • Graphical personalization – the printing or embossing of text or pictures on the card and connected carrier product(s). To gain the full potential from smart/SIM-card-based solutions, taking a high-quality course is a good idea. Courses are offered either at training centers or on site, taught by professional trainers. Get ahead of the game and train yourself for the future. Choose when to do it, where to do it, with new e-Learning offer, all you need is a broadband internet connection. The online Fundamentals of Smart Card Technology course provides a detailed synopsis of the state of the smart card industry. It teaches you about the basic components of smart card technology and the applications used all through the global marketplace. It also covers a wide range of topics, from why people move over to smart cards to the basic structure of smart card, how they are formed and utilized. We help our partners and integrators to personalize and roll-out secure smart cards and sturdy digital identity solutions. As an experienced partner in high-end digital identity solutions, we look forward to starting a business with you.